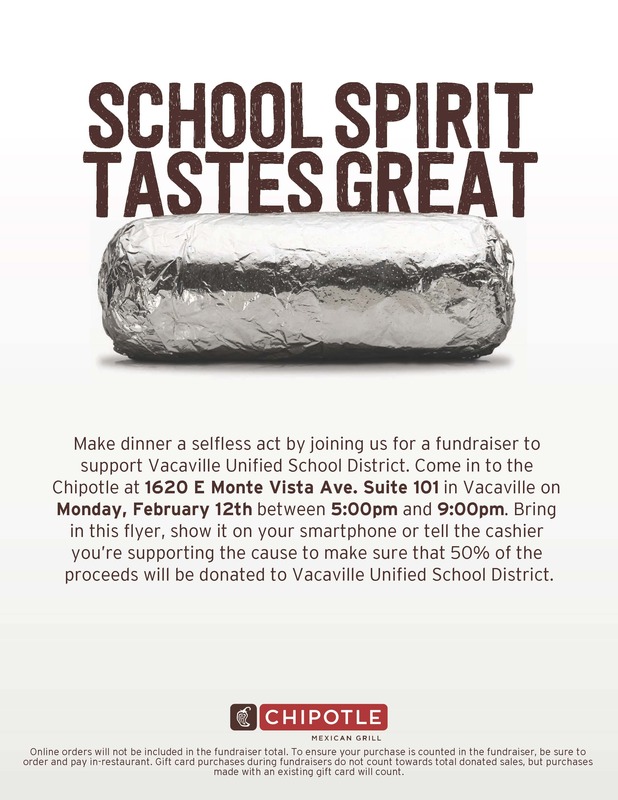 Come to Chipotle for a delicious dinner and support the VUSD GATE Program at the same time! On Monday, February 12th, between 5:00pm and 9:00pm, come to Chipotle at 1620 E. Monte Vista Avenue, Suite 101, and the GATE Program will receive 50% of the proceeds. Make sure to have the flyer in hand or on your smartphone and tell the cashier that you are supporting VUSD!